We are committed to showcasing opportunities and careers in rural industries to the next generation, including secondary schools. The future skill set required will be very different from years gone by with the rise of automated systems and data collection. Our aim is to encourage young people to view the agricultural industry as a viable and exciting career choice. Take a look at the events below which offer first hand experiences and the chance to meet professionals already in the industry. The National Apprenticeship Show is taking place at the Great Yorkshire Showground and will bring together employers, colleges and providers to present their opportunities. The event is open to school groups and individuals who can attend to find out more about local apprenticeships from over 60 exhibitors from a diverse range of industries. 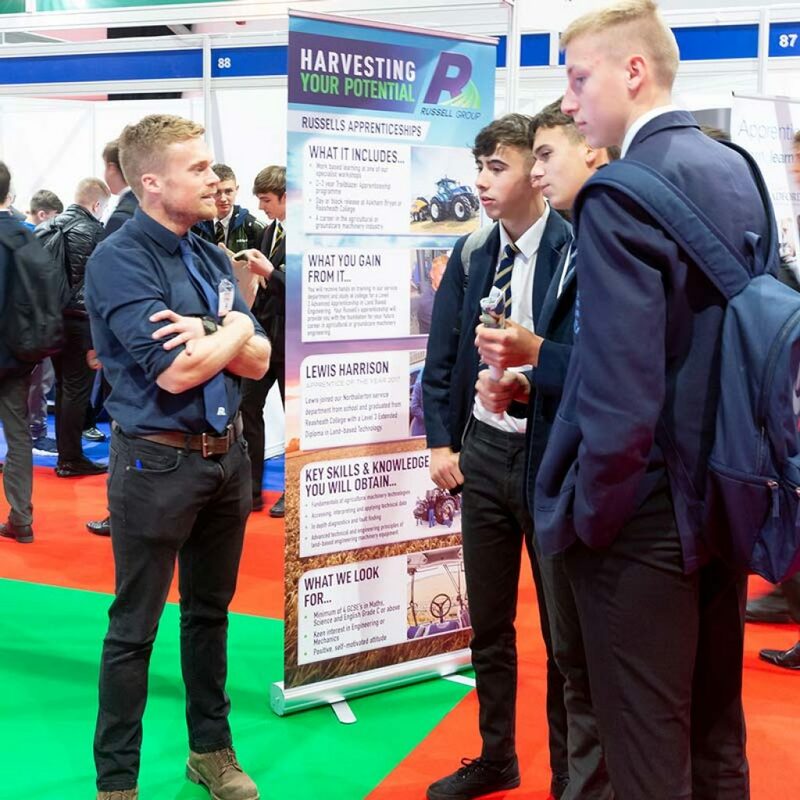 The Yorkshire Agricultural Society is hosting a land-based careers zone within the event to showcase apprenticeships within the food, farming & countryside industries. Come along to learn more about these exciting opportunities from local companies. The Great Yorkshire Show provides the perfect opportunity to extend your students’ learning outside of the classroom. Not only will they be immersed in Yorkshire’s biggest celebration of food, farming and rural life, they can also experience ‘hands-on’ learning in our interactive ‘Discovery Zone’. 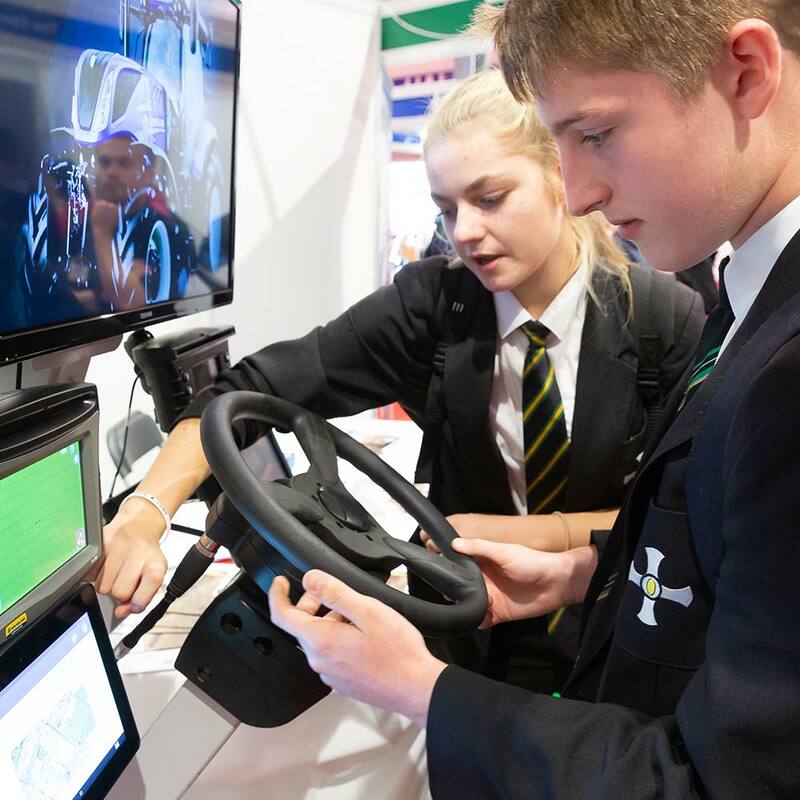 There will be endless opportunities for students to engage with potential employers and industry specialists where curriculum learning can be linked to careers (Gatsby Benchmark 4). They can also explore further study prospects with the numerous colleges and universities that will be exhibiting across the showground. The future skill set required will be very different from years gone by with the rise of automated systems and data collection. Our aim is to encourage young people to view the agricultural industry as a viable and exciting career choice. Watch these videos to see the range of opportunities available to you. Farmer’s Guardian #ThisIsAgriculture film promotes agriculture as an exciting, pioneering and dynamic industry to work in. Watch this short film to see what opportunities are out there…..you might be surprised! If you are looking for inspiration about a career in agriculture watch this short film to hear from agri-professionals who love what they do! Courtesy of Felix Thornley Cobbold Agricultural Trust.